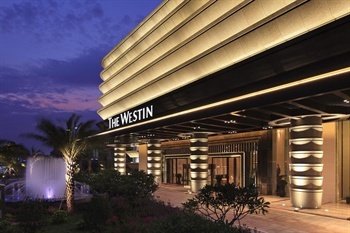 The Westin Pazhou, a landmark hotel situates in the Canton Fair Complex, embracing views of both the Pearl River and city skyline, and enjoying enviable position of being the only hotel with direct access to the Canton Fair Complex. It only takes you 5 minutes to the nearest metro station. Convenient location provides you an effective exhibition experience, and our exclusive services must make your stay a renewal. Moreover, we are the only hotel which provides hotel golf cart shuttles in the exhibition hall. After a busy day, treat yourself in one of the Westin spacious and comfortable guest rooms and suites, eat well in sumptuous dining venues, host your events in extensive and highly flexible event spaces, and nourish yourself in the Westin signature Workout Studio and Westin Heavenly? SPA. Every element here is designed for a better you.